I'd just like the opinion of cat owners or former cat owners. I try to play with Sky as much as I can but it's hard really so I bought a laser pointer a few months ago and I sometimes use that to play with her, she goes tearing around chasing it all over the house. I've been told (on another forum, a motorsport one at that. hehe) that laser pointers are cruel for cats and should not be used. and no, not because of hitting her eyes (I'm always ultra careful to keep it around her paws or further away) but that they said its cruel to cats as it is just very frustrating for them as they chase it around for ages and never actually catch anything. So now, I'm wondering if I should stop using it to play with her, what are your thoughts? Never used a laser pointer with my own succession of feline friends, but surely the cat does 'catch' something now and again, ie the dot of light that's being chased? 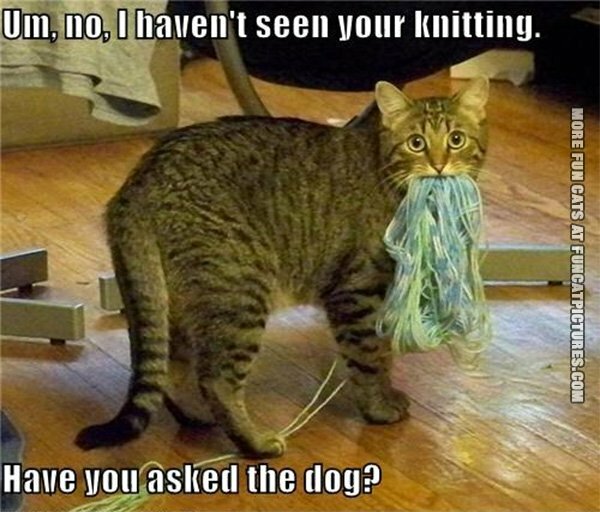 Anyway, a cat would soon let you know if it wasn't happy with a particular form of play - they just wouldn't participate in it! yes Kizzy, i think also the them. One option is to give the cat a treat after chasing the laser. It could be a little crunchy snack or it could be a cuddle. 'Catch' the laser, 'catch' the treat. If you don't want to give the cat an extra treat, you could play catch the laser just before ordinary meal time, perhaps alternating with other games. But I agree with Kizzy that if the cat wasn't happy, it wouldn't play, so if the cat seems happy, then keep playing. I think a little treat after the lazer game sounds like a plan. But there's no way a lazer game with a cat is cruel Steve, you've got to love some people with their opinions that they just have to voice. if a cat doesn't want to play it will just look at you and give you a look that says You humans are stupid if you think I'm chasing that, and then go back to sleep. Yes give them a treat but my lot would want the treat anyway. Thanks all and yes I think the treat idea is a good one! Our two male cats dash around chasing the laser dot skidding on the laminate flooring and avoiding crashing into things including each other. I am careful about their eyes and how long we play for. I guess it is like giving kids sweets too much is not good for them but some now and then is a treat. Another game we just discovered yesterday is putting pebbles on my desk and him swatting them left and right. It does mean there is some tidying up to do afterwards and that means not everyone use the idea. I got offered cat toys on a fairly regular basis to review by Amazon at one time, and offered them to a friend of mine who owned four cats. He declined, on the basis that his cats were far too lazy to play with toys, they did chase each other occasionally, but that was the extent of their play, other than the one cat who hunted, despite her belled collar. So, from this, I gathered that you can buy a cat all the toys that you like, but you can’t make it play. Whoever thinks using a laser is cruel has a weird idea of cruel. Sorry if this is too late, but major (to me) problems with my health have kept me away. Cat toys are, to my mind, are a waste of money. A bell in a plastic cage ball has stayed by the food bowls for months. The home made fishing pole (a five foot length of 6mm dowel with a pull cord from an old window ventilator) is by my chair and is often played with by Mally (5 years old), Missy being 15+ just looks at it! I missed the crucial word toys in the above post there Tony and was shocked and expected a barage of people regailing how much their cats are worth to them but it's okay, I read it twice. My glasses are on order and should be ready this week! My cats only liked small toys containing catnip aka weed for felines. Oscar is growing up to be be strong and athletic, my only worry is he has not reached an age where I can think he is old enough to have road and people sense. I will be so glad when he has had his first then second birthdays. Where has insert picture gone?